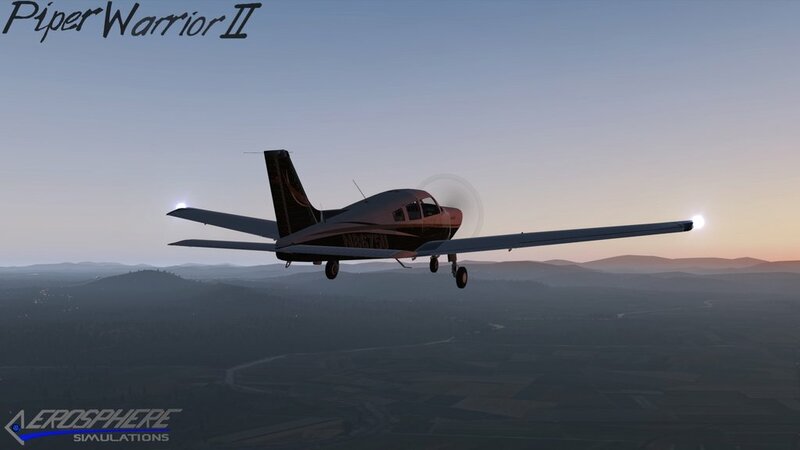 AeroSphere's Piper PA28-161 Warrior II was designed after the late 1970's model Warrior. 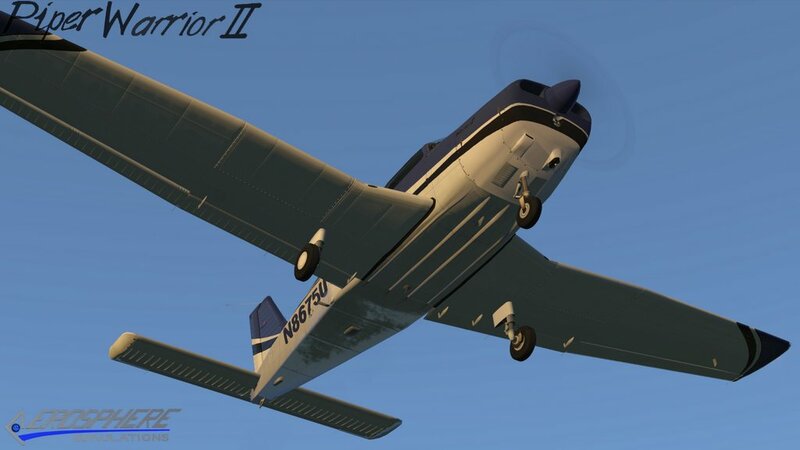 Equipped with a more powerful 160 HP engine than its predecessor, the Warrior I; the Warrior II boasted an 127 knot cruise speed at 75% power output. 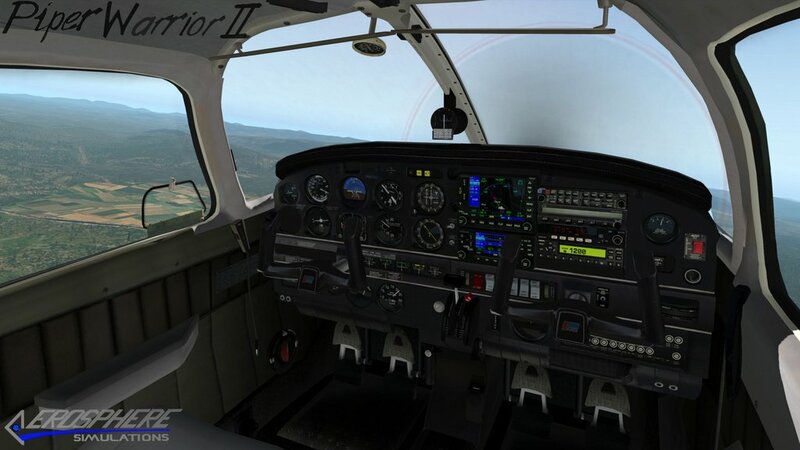 The panel and interior were designed after the same era with modern avionics that are common among Pipers. 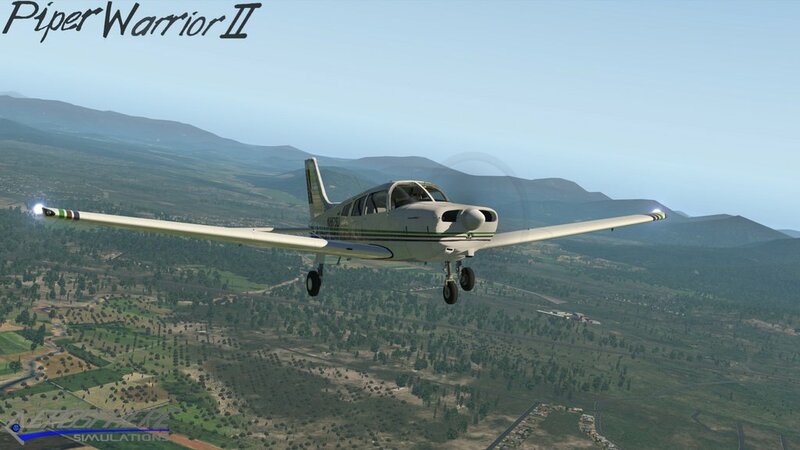 The Warrior II by AeroSphere was created using the Pilot Information Manual to fully encapsulate an accurate flight model for X-Plane. 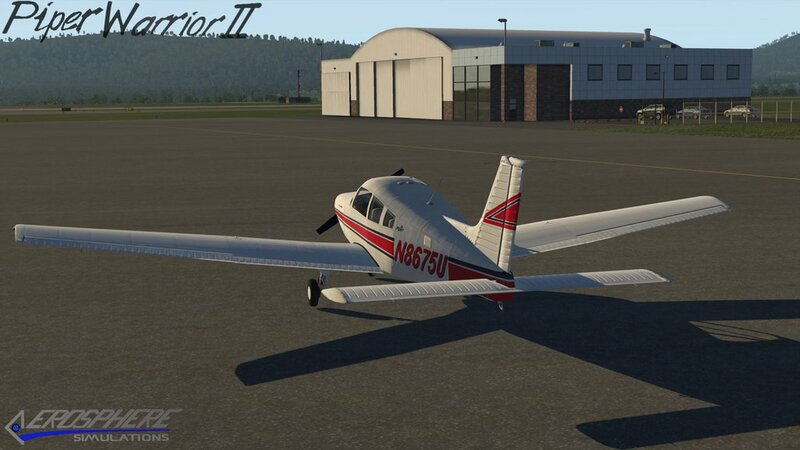 4 HD (4096 x 4096) liveries with a plain white texture that can be used for custom paint schemes. 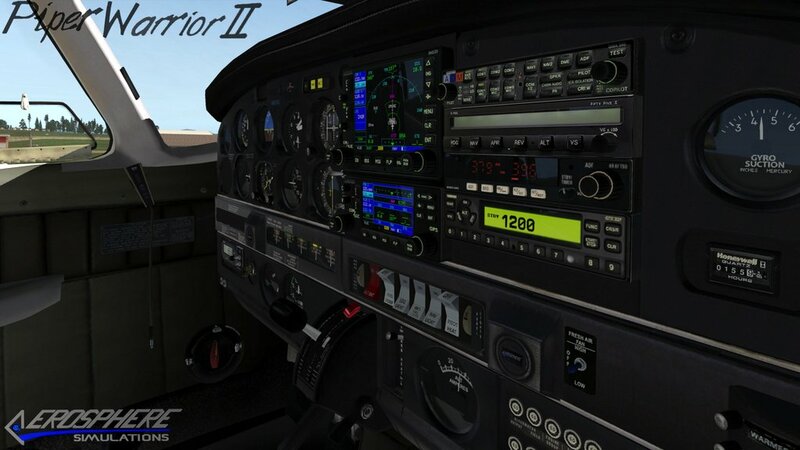 Steam gauge trainer cockpit model to help pilots in the training environment with required instruments for IFR. 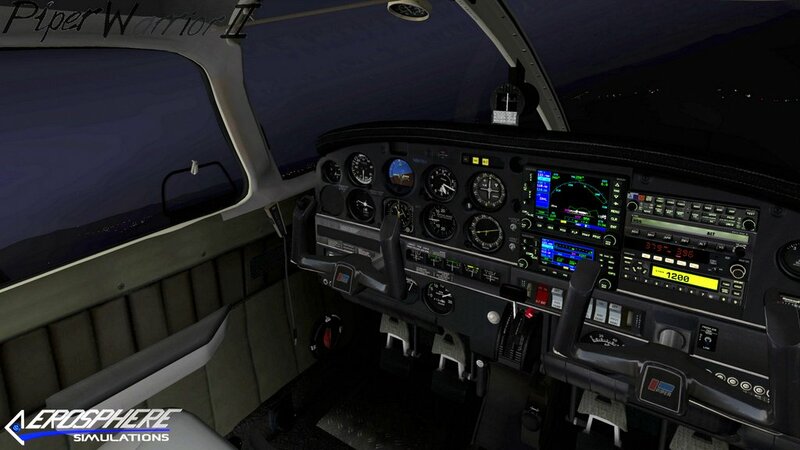 Detailed flight model and interactive 3D virtual cockpit with animated knobs, buttons etc. 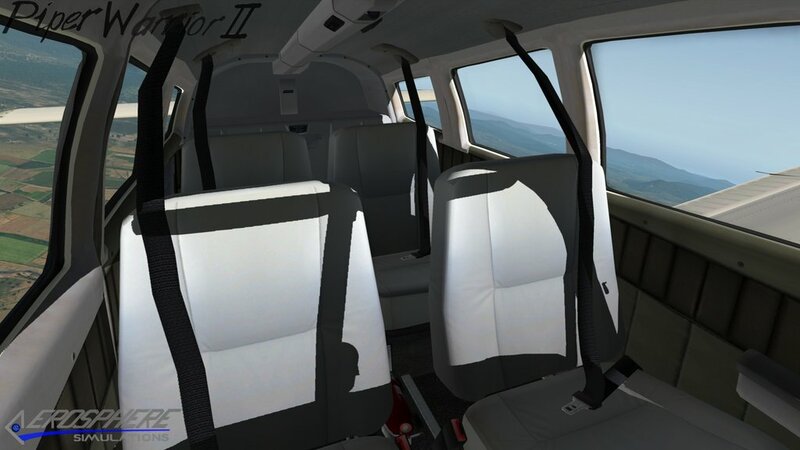 cabin door, storm window and rear baggage compartment door.